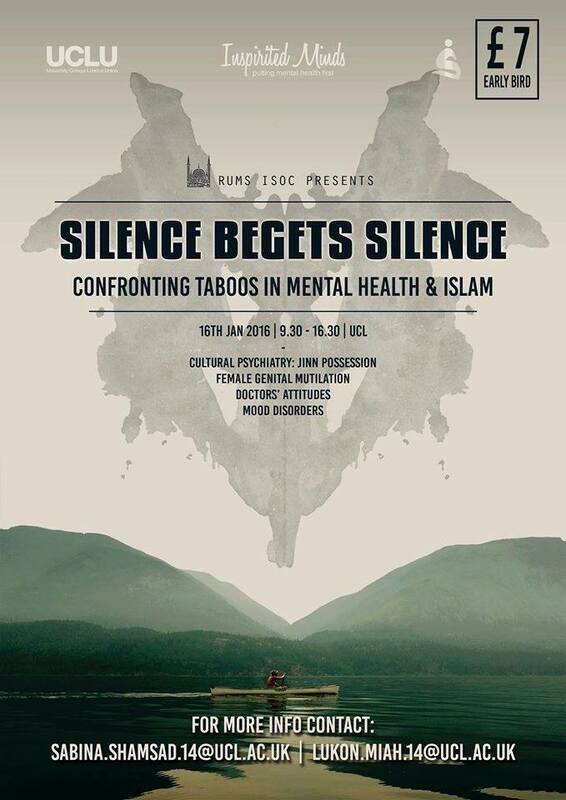 RUMS Islamic Society is pleased to present its annual conference, this year focusing on mental health, entitled: “Silence Begets Silence: Confronting Taboos in Mental Health & Islam”. 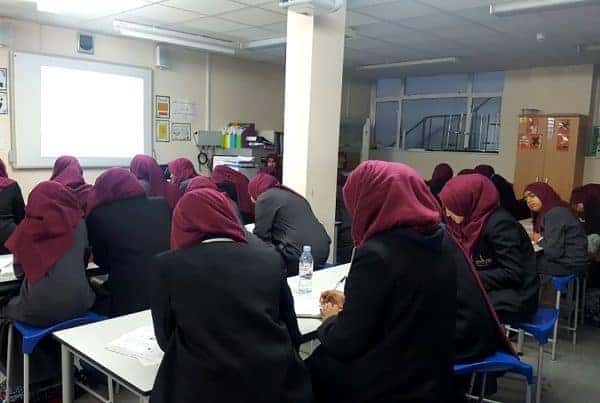 Aimed at addressing issues that too often get ignored and swept under the rug in Muslim communities, the hope is that discussion of these topics will aid in the process of overcoming the increasingly negative stigma that occupies these topics. 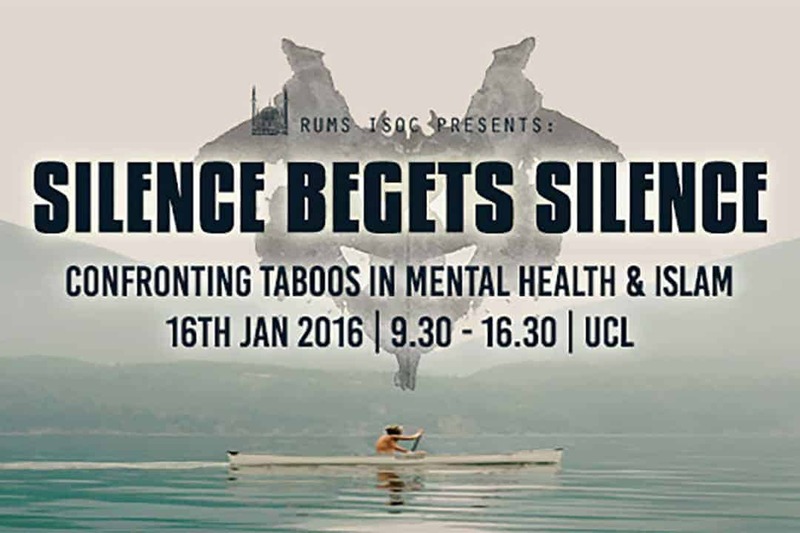 This conference will have three panel discussions focusing on: Jinn possession, Female Genital Mutilation and Mood Disorders. 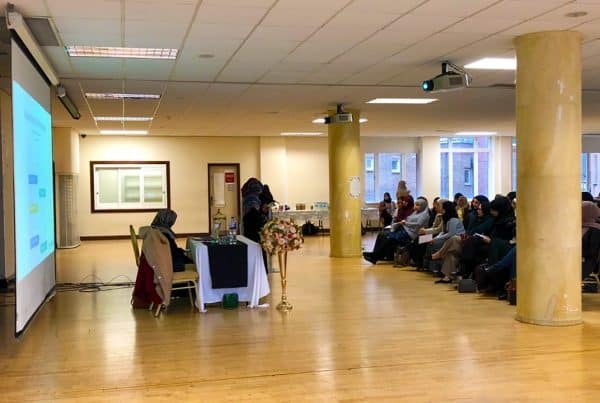 The conference will begin in the morning with a panel discussion involving members of the public health sector and a sheikh on each of the topics mentioned above. Each panel will be followed by a Q&A session that will provide members of the audience the chance to ask the panelists questions. And more to be confirmed insha’Allah! 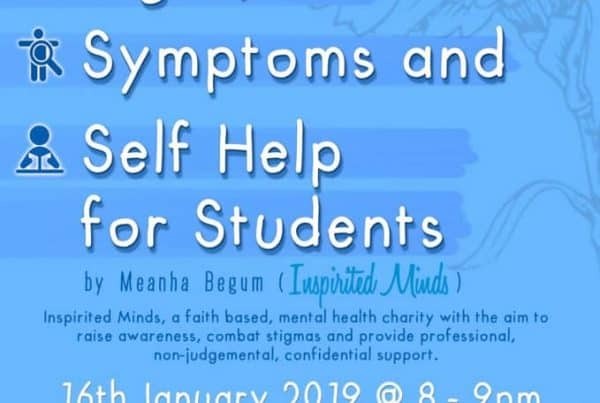 We look forward to see you all at what hopes to be an enlightening event!